Anyone EDC a rare model? Re: Anyone EDC a rare model? Maybe mags can make a #3 and send #2 to me for proper disposal. Small knives can do what big knives do, just slower. Official 30 Day Pen Challenge! 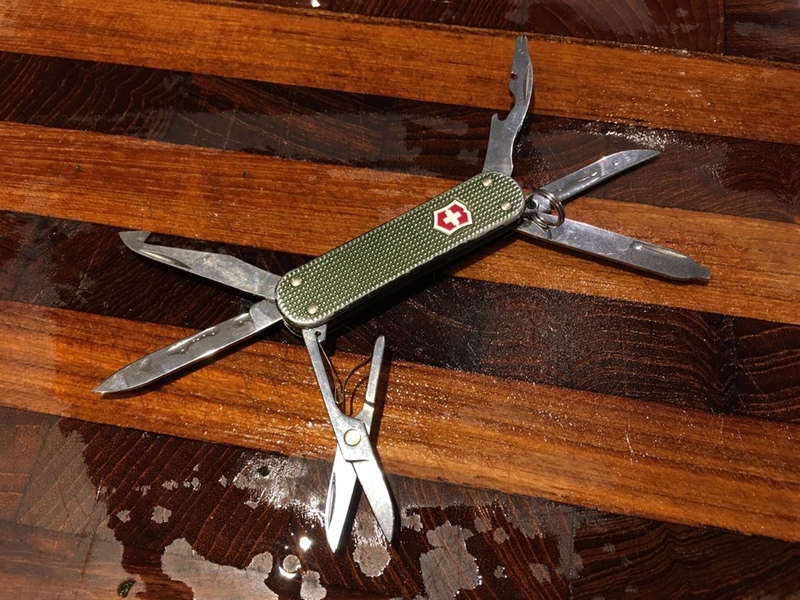 I EDC my '99 Soldier. But where this topic was made, it was only like 10 years old. Mechy, do you EDC anything rare? I sometimes carry my 1950 Soldier. 84mm Golfer and Climber too. You've easily got me beat in terms of insanity. I don't EDC these but I do carry and use them. 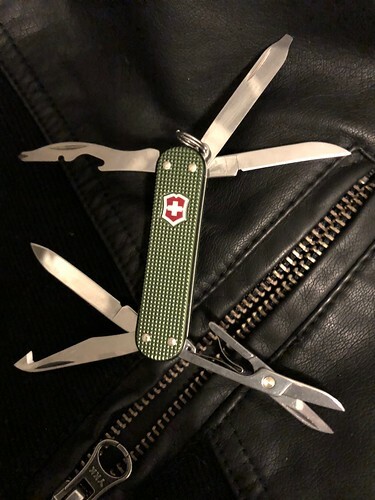 Absolutely No Life Club Posts: 5,511 aka "G-Fiddle" and "Glen-Fizzle"
Other than the Swiss shArK there are some other I carry and use regularly: the red OC First Mate and the green (OD) SwissBianco Carver. And of course the MTo Pioneer X! 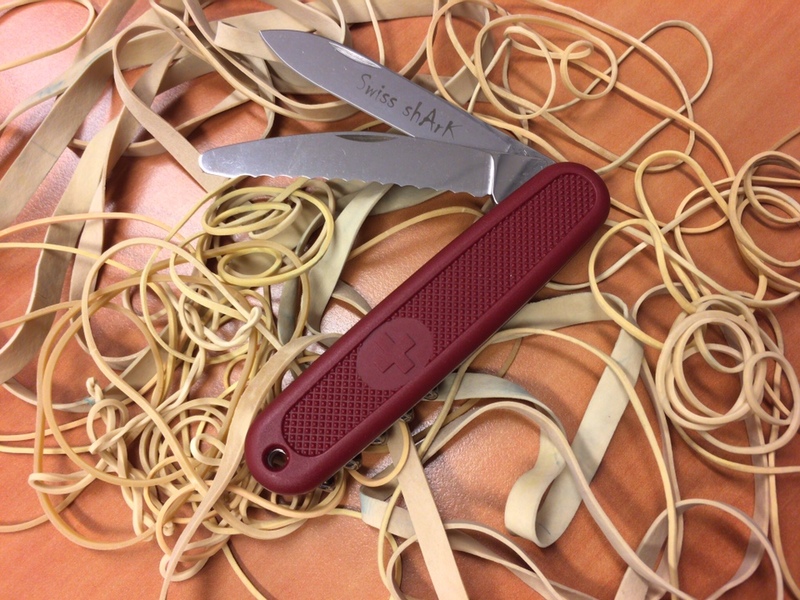 But the one rare SAK that I truly EDC is the green (OD) alox Vagabond! Does yours look like this one GF? Zombie Apprentice Posts: 16,631 I'm not a pessimist, I'm an experienced optimist! I also have a factory made buffalo horn Huntsman, and a 1996 British Olympic team Spartan. I have offered them up for sale in the past, but they didn't sell at the price I thought they were worth, so I'm planning on making those two users too. Ha, it took me a minute to realize how old the topic was. I saw my name as author and thought, "I didn't post that "
If the trees blew down the wind and no one was around, would the alphabet song really go backwards? I carry this one often. I don't know what jaydar's cabinet is. Anytime I see a wooden cabinet like that, I'm reminded of Gerstner tool boxes. If you're in the US, those may be worth looking into as an alternative. I have a few unique (in the true meaning of the word ie 1 of 1) prototype MTs, and quite a few that are very rare indeed (only single digit numbers known in the MTo realm), but I wouldn't EDC any of them. It's not just because of their rarity and fear of losing them (although that is a serious concern with any rare object). Some are simply unfinished/incomplete, others aren't very usable as development hadn't been finished when they were made (that is the nature of prototypes and proof-of-concept objects). 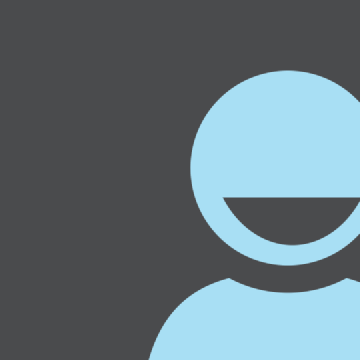 babola: "Enjoy your tools and don't be afraid to air your opinion and feelings here, but do it in courteous and respectable way toward others, of course." Jr. Member Posts: 85 Just a dude with an appreciation for titanium. 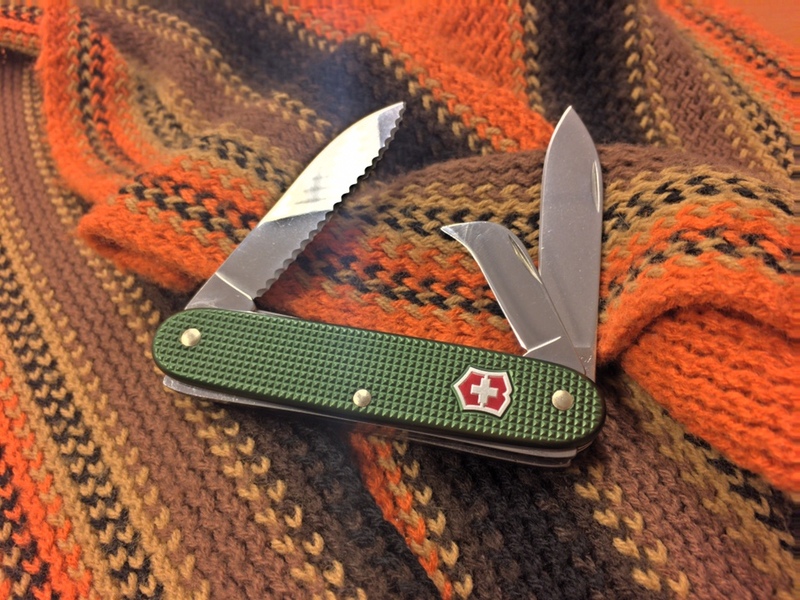 Vic Voyageur was my EDC for about 5 years before starting a new job where blades are a big No-no so I had to swap it out for a Jetsetter on weekdays. Weekend carry is a rotation between the Pioneer X (heavy use days), Compact (normal use days) and the Voyageur for special occasions/dressed up carry. Neatest items in collection: Full Wenger Titanium Series, Vic Voyaguer, 84mm Golfer, Several Atwoods. These days I focus on 84mm with Scissors, 74mm with interesting scales, and bladeless versions of SAKs so I can carry them at work. I like the look of worn Alox. That Vagabond always takes a good picture FB! 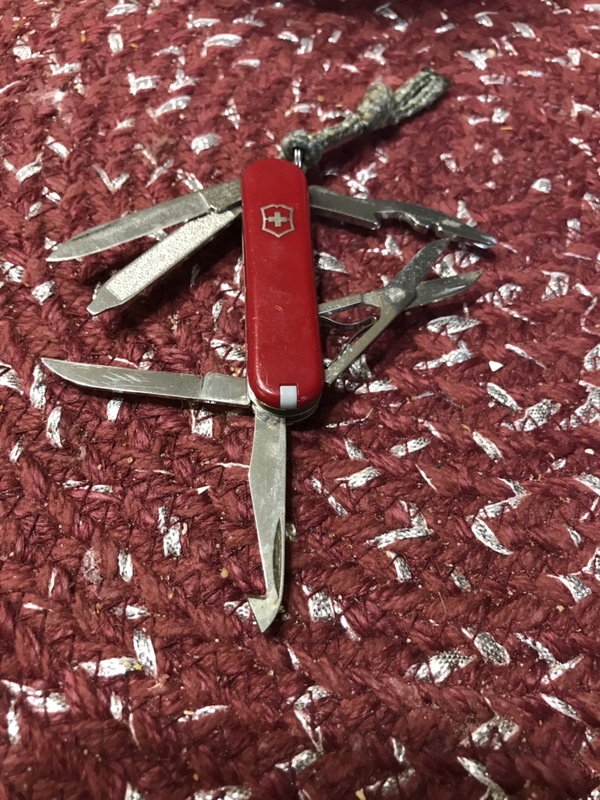 I EDC this Voyager, my favorite pocket tool! If I start and end the day above ground, it is a good day! Hope yours is as good! Realized my autocorrect changed the name!!! 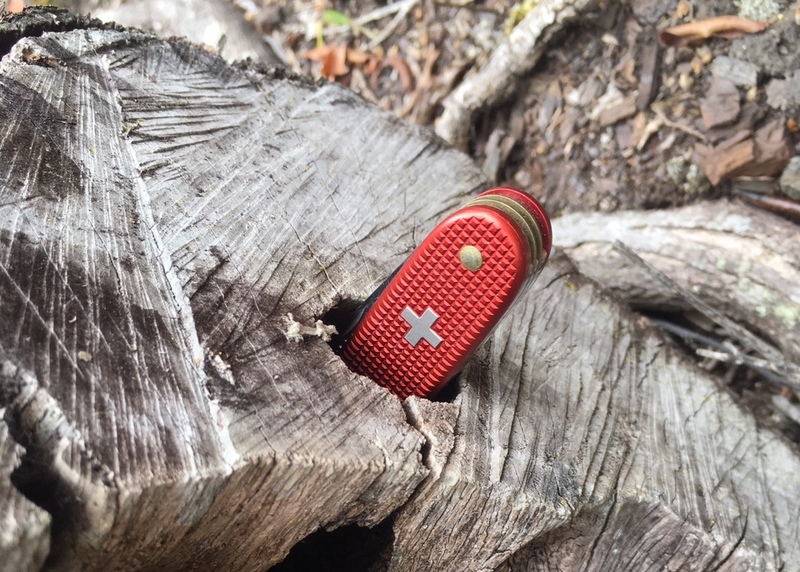 I carry from time to time a Swissbianco microfarmer silver alox and a first release black farmer, standard models that I carry are economy lumberjack, GAK 2, VW Spartan. So some rare and some just hard to find. 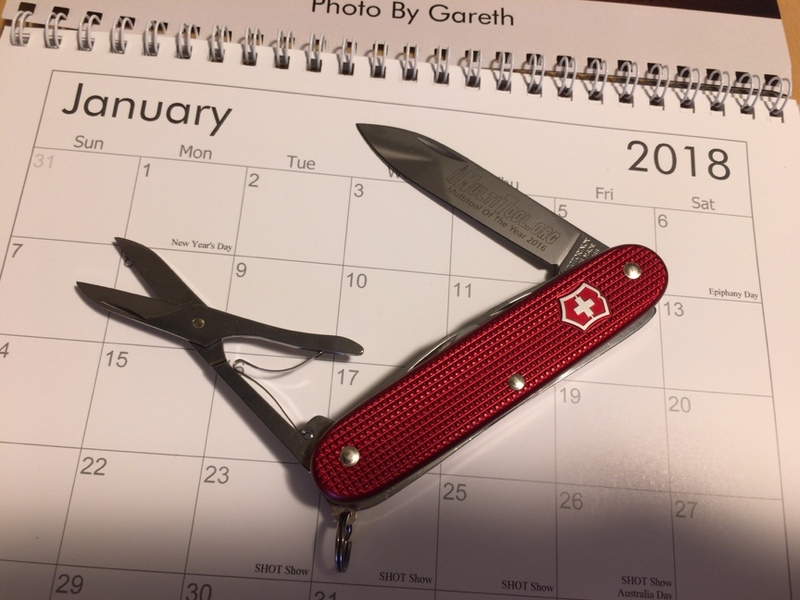 I EDC a discontinued, although nothing fancy or expensive, Gerber Double Take. And a custom Alice with scissors. My EDC SAK is a black Electrician. It's not a rare model, but it is an uncommon colour variation. Most of the other SAKs that I carry regularly are either mods I built myself or have at least had new scales fitted. None are stock. The BuSchroder is like the Sith: Always two there are.